Combine mountains and semi-arid plains stretching endlessly towards the horizon with historic towns. Now add in wildlife, fire and hundreds of kilometres of coastline to get an idea of Azerbaijan’s real beauty. Here’s our roundup of the ‘Land of Fire’s’ most beautiful spots. Baku is one of the most beautiful places in Azerbaijan for its modern city centre and historical old town. The Flame Towers form the capital’s focal point and light up after sundown. Icheri Sheher, the medieval core, exhibits Islamic styles of architecture, while lavish European façades line the Old City. 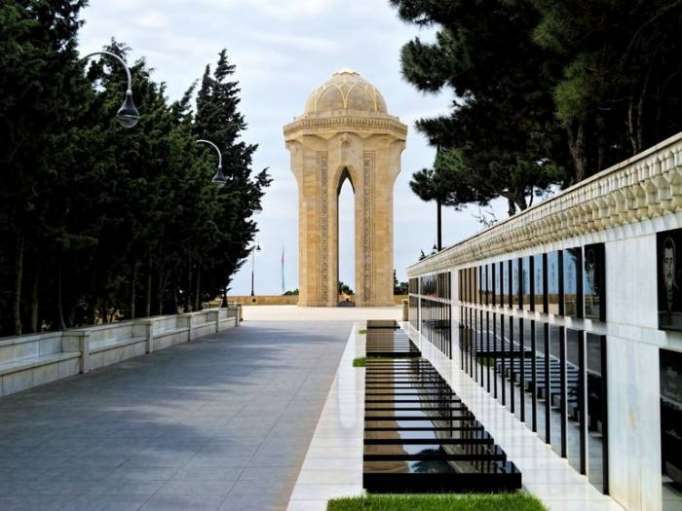 The most beautiful attractions are along Baku Boulevard, a long promenade near the Caspian Sea, and the views from the hill near Martyrs’ Lane. 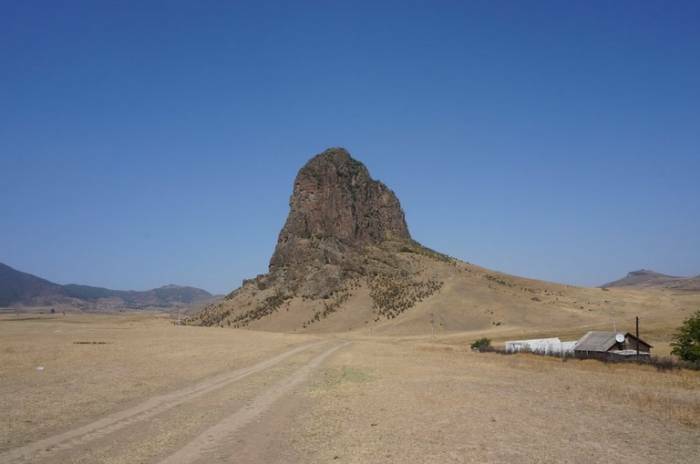 Just over 60 kilometres (37.3 miles) east of Baku sits Absheron National Park. The arid plains caused by the semi-desert climate cover almost 2000 acres. Stand inside and marvel at the rolling dunes against the clear, unpolluted waters of the Caspian. But, the mesmerising landscapes aren’t the main attraction. More than 50 species of animal call the steppes home, including the endangered Caspian Seal and Comb Jellyfish as well as gazelles, badgers and jackals. According to locals, historical Astara tops the list of beautiful places in Azerbaijan. 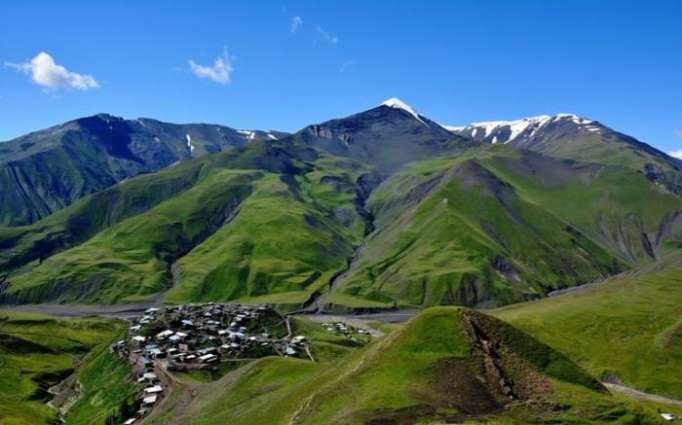 Mountains surround the town, sitting on Iran’s border, while lush green virgin rainforest and a variety of plant and animal life, including the Caucasus leopard are inside the nearby Hirkan National Park. The Caspian Sea, or the world’s largest lake, makes one of the best places to visit in Azerbaijan. The coastline stretches more than 500 kilometres (310 miles) from the border with Iran to the south and Dagestan in the north. 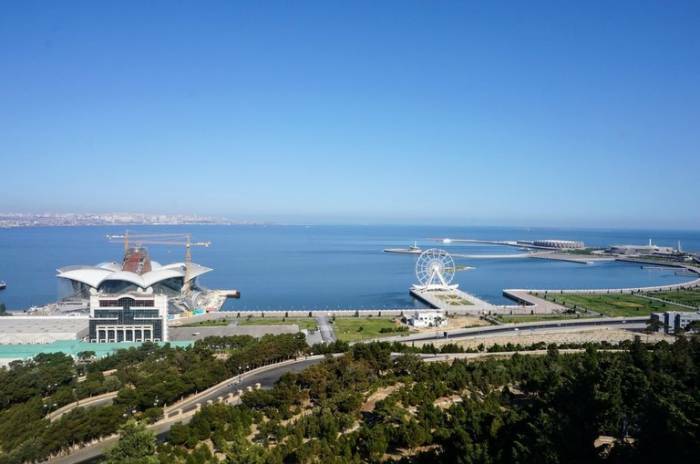 Despite most the coast and beaches near Baku suffering from pollution, you can find beautiful resorts in Sumgait in the northern part of the Absheron Peninsula. Lankaran, four hours south of Baku towards the Iranian border, has a few resorts too. The semi-desert national park located just over 100 kilometres (62 miles) southwest of Baku combines wildlife, dunes and a short stretch coastline. Visitors enjoy landscapes and diversity of fauna with its large population of gazelles, jungle cats and turtles. More than 200 species of bird also live inside Shirvan National Park, including 32 rare ones. Bungalows and camping sites are available for overnight stays. Lake Aggol, the second largest lake in Azerbaijan, sits inside the Agh Gol National Park in the Kur-Araz lowlands. The arid landscape creates a nesting spot for migratory birds, while the lake is full of fish. And the views are spectacular. Imagine a blue-green lake surrounded by a band of trees with mountains in the distance. Despite the beauty, travelling can be challenging because of language barriers. Learn a few phrases from Azerbaijani first. Nestled at the foot of the southern Greater Caucasus Mountain is a place called Sheki. The town of 60,000 dates back two and a half thousand years, making it one of the oldest Caucasus settlements. Sheki’s claim to fame for millennia was silk, textiles and embroidery, which made it a significant point on the Silk Road. Today, the historical region with ancient mosques, castles and the 18th-century Palace of Sheki Khans form the foreground against the majestic green mountains. The former capital of the Caucasus Albanians in northern Azerbaijan blends historical and natural beauty. Nearby archaeological sites dating back almost 2500 years sit near the craggy Caucasus Mountains to the north. Valleys, canyons and waterfalls, as well as ski resorts, make Qabala one of the top places in Azerbaijan. Quba in the country’s northeast is an important destination for Azerbaijan culture. The ancient mountain town along the Qudailchay River is a stone’s throw from remote villages full of history. A small all-Jewish settlement sits on the opposite side of the river traversing the town. Craggy mountains and valleys surround the cultural communities. The nearby village of Khinalug at 2350 metres (7710 feet) offers stunning mountain landscapes and plenty of hiking opportunities. 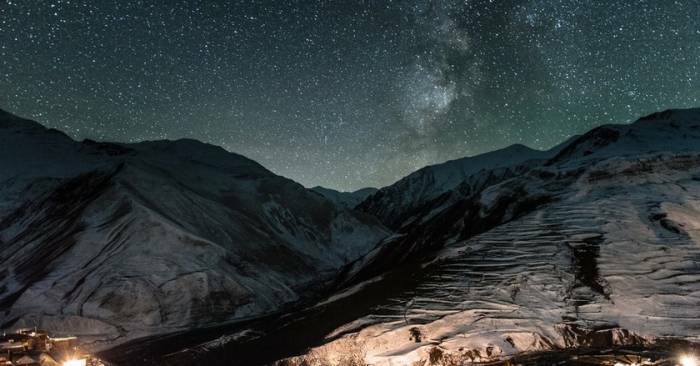 A short distance to the northwest of Qazakh District in northern Azerbaijan stands the 857-metres (2812 feet) Goyazen Mountain. Goyazan stands alone against a flat background of rolling fields and plains giving it a prominent appearance in the landscape. The strange beauty includes it on the list of places to visit in Azerbaijan. Lake Goygol is one of the most beautiful places in Azerbaijan. The name translates to the Blue Lake nestled in the Murovdag foothills. Formed after an earthquake almost 1000 years ago, Goygol has become a favourite tourist destination near Ganja. 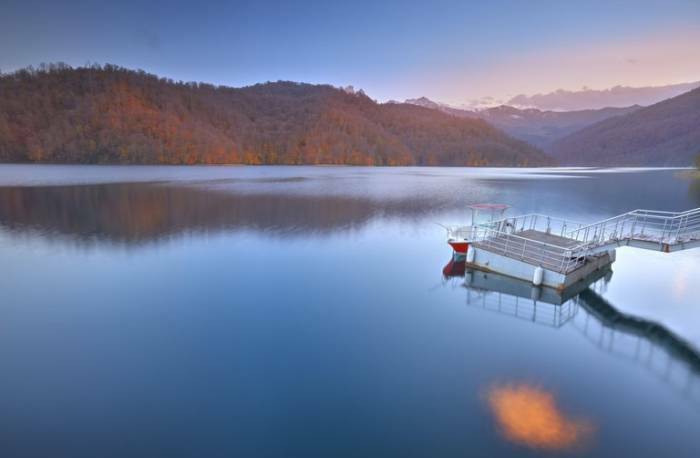 A total of 19 lakes lie in the Greater Goygol region with eight at an altitude of more than 1500 metres (4921 feet). The hour journey from Ganja passes through the mountains providing plenty of spots for a photograph. Read the original article on theculturetrip.com.